Community Investment Network inspires, connects, and strengthens Africans Americans and communities of color to leverage their collective resources to create the change THEY wish to see. Tell us a little bit about your programs. 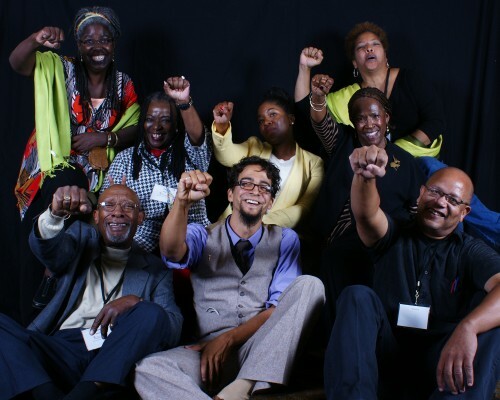 We invite people of color to make grassroots philanthropy a part of their budgets and lives. We support the launch and strengthening of Giving Circles as a way of redefining philanthropy that is more racially inclusive, democratic and accessible to people of all classes. Giving Circles are autonomous, self-governing vehicles for collective giving and leadership. We are distinct from traditional philanthropy by elevating the three Ts of community philanthropy — time, talent, and treasure. Often, it is a combination of these three forms of giving that result in the greatest impact. We do not fixate on the size of a checkbook. Instead, we prioritize relationships over transactions. Giving Circles choose to invest in small to medium-sized nonprofit organizations serving youth, the homeless, women, the formerly incarcerated and other vulnerable populations. We are the first investors in projects and people who are frequently unseen or dismissed as being unworthy of support. Multiple African Americans in the Southeast recognized that traditional philanthropy was not reflective of the communities they were in, nor racially inclusive. Giving Circles are a way to engage larger numbers of people in collective giving, while reconnecting the history of mutual aid societies and self-help associations that were more common among Freedmen and Freedwomen during Reconstruction and during the decades of Jim Crow that followed. We remind people that philanthropy means “love of humanity.” We show people through our actions and inspire others through our stories to see themselves as philanthropists. We were met by confusion, doubt, and mistrust. We have encouraged people of color to come together to pool their money, to give their time, and to share their ideas about how to create change in their communities. A key lesson is to invest in what sounds odd, seems improbable, or strikes you as unlikely. As a network of people of color, we provide our members with tools to build trust, talk about money, family, scarcity and power. We instill hope and a sense of possibility better than conventional funding models. By getting people of color to focus on the supply side of philanthropy, we are increasing the total number of philanthropists. In turn, more people giving back in their own community offers hope and inspiration to the people and organizations that they are investing in. Seeing ourselves as philanthropists gives us a sense of purpose in life, and galvanizes others to make philanthropy a part of their life. We make strategic philanthropy and collective giving practices a part of people’s budgets and lives. Relationships are more valuable than money. Money can be isolating and creates barriers between people with like minds and hearts. Oftentimes, Giving Circles start with people being invited to see themselves as a philanthropist and to think about how they could do philanthropy. Giving a nudge of encouragement is more important than money, because in the early stages of a Giving Circle, money can become the focal point, rather than the relationships needed to sustain the circle itself.